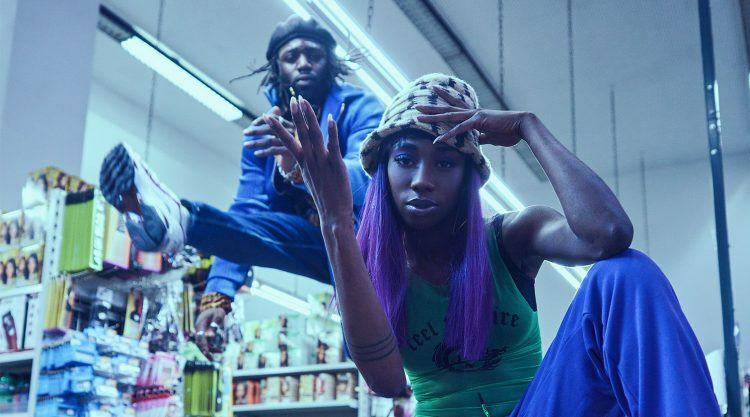 German choreographer and dancer Aaron Night spoke to Sneakers Magazine, in which he and R&B artist Ace Tee talked about their special connection with PUMA. It is more than the love for sneakers and sportstyle that links the two PUMA ambassadors and their brand. Ace Tee and Aaron Night both have Ghanaian roots. The two artists say their heritage is a constant source of inspiration for them, just like it is for PUMA. “I always say I’m from Hamburg, Ghana, Germany, in that order. People think that is funny. Well it is, but it’s also real to me,” explains Ace Tee. PUMA always had a connection to Africa. Or at least not with the typical American black athletes. PUMA always had great black athletes like Usain Bolt for example. But they not only had the biggest stars. That made it special for me. I really dig PUMA, especially for their collabs with Diamond Supply, Han Kjøbenhavn, Fubu etc. I even wore PUMA before we worked together. This is something that maybe not everybody knows, but in the world of dancers, Puma is THE brand. That’s why I made my first steps in Suedes – and never regretted. Believe me, some brands won’t last the beatings of my street shows. Apart from the Suedes, Ace Tee and Aaron Night are especially keen on PUMA’s 90s style and the Cell. I will be honest. I saw the Cell a few months back, and I fell in love with it. I told Puma, “I need this one to be mine,” and when it came out I saw bloggers from the US wearing them and I did not have them. I was mad! I never had that with any other sneaker. I begged PUMA to send me my Cells, and when they finally came I was a happy girl. I love that it’s going “back to basics”. I think PUMA has also heard what my mom was saying: “In order to know where you’re going, you have to know where you’re coming from.” I really dig the style because I’m a 90s kid. For 2 years, PUMA has worked together with Aaron Night. Ace Tee joined the family in mid 2018. It’s a special collaboration, not just for Aaron Night and Ace Tee. Both of them are artists and super creative. They always work on new projects together with PUMA and play an active part in the development. Ace Tee and Aaron are opinion leaders in their communities, because they are part of their target groups. “I’m the blueprint of “generation hustle” – you all don’t even know the half! I come from a low-income family – I had to hustle for everything I got,” Ace Tee explains. Ace Tee and Aaron Night also worked together with PUMA and sneakers magazine on the photo shooting that took place in an African shop in Hamburg. Tarin Wilda, better known as Ace Tee, is a German R&B artist from Hamburg. In 2016, she released her song “Bist du Down” (Are you down), which she had recorded with the Ghana-born rapper Kwam.e. She filmed the music video for “Bist du Down” herself under a railway bridge in Hamburg. Through a tweet from a Canadian Twitter user who compared her to the band TLC, the song and the video became a viral hit in the United States. Aaron Night is actually called Aaron Amankwaah. He started dancing in 2006 after being a professional swimmer for 7 years. Today, Aaron is one of the most successful dancers and choreographers in Germany. He achieved that among other things by living according to 5 simple rules.